Can Tho, the most busy trading city in Mekong Delta tours, attracts a large number of tourists every year. They come to see distinct cultures of the area, typically, interesting floating market, peaceful pagodas and temples, amazing orchards and mouthwatering dishes.If you are asking for where to shop for food for food in Can Tho, take into account our suggestions below. 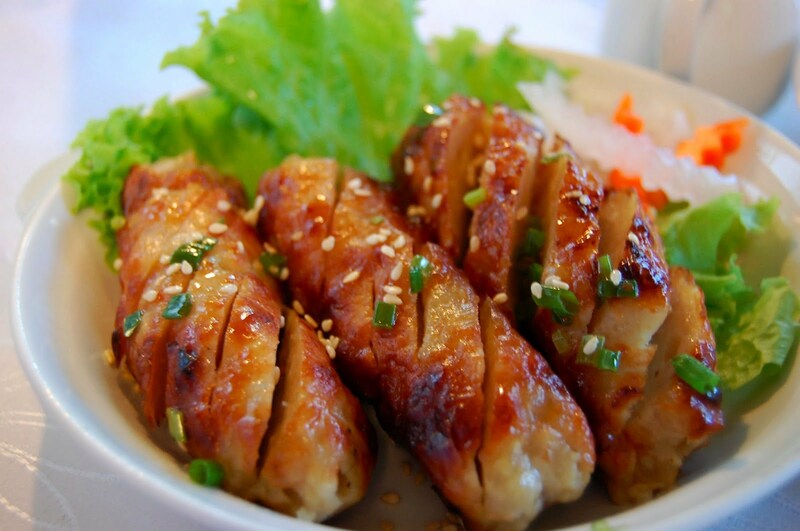 Nem nuong, or grilled pork roll, is one of Can Tho’s specialties that every visitor shouldn’t miss. To make this cuisine, the local well mix ground pork with garlic, salt and sugar, fish sauce and lastly white pepper. 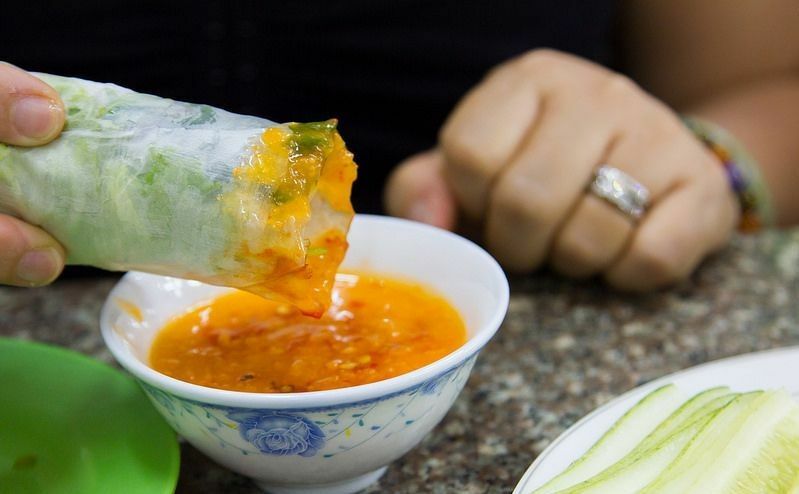 It sounds so simple, however, to create the distinct flavor of nem nuong is not an easy task. And Nem Nuong Thanh Van is the store that best serves this delicious cuisine. Located at no.17, Hoa Binh Avenue, Nem Nuong Thanh Van is a popular address for both local and tourists to enjoy nem nuong in Can Tho. Dipping-sauce is the first element distinguishing the store from others. That is certainly not the normal fish sauce but a perfect combination of the soy sauce, flour, sugar, garlic and grinded peanut. In addition, nem nuong should be served with rice papers, fine rice vermicelli and vegetable to bring the true flavor. Nem Nuong Thanh Van opens from 7am-10:30pm every day. As a favorite place of local, the store is usually full of people so you sometimes have to share table with others. With the reasonable price of about US$2.5 per portion, it is really worth to have a meal there. The second must-try dish in Can Tho city is Bun Bo Hue, aka Hue beef noodle. 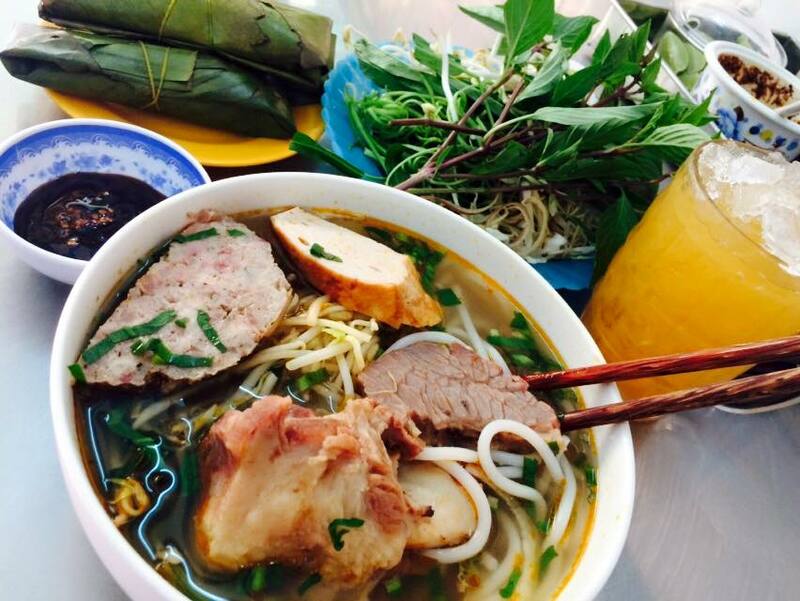 You will find Hue as another attractive destination of Vietnam, and Bun Bo Hue is surely a specialties of Hue. Because the taste of Bun Bo Hue so good that so many people love to try, the dish can be found in almost every province of Vietnam. Bun Bo Hue Huynh Chau is the best address in Can Tho to enjoy the cuisine. Beside Bun Bo Hue, the store is also well known for its beef dish aka Bo Ne. 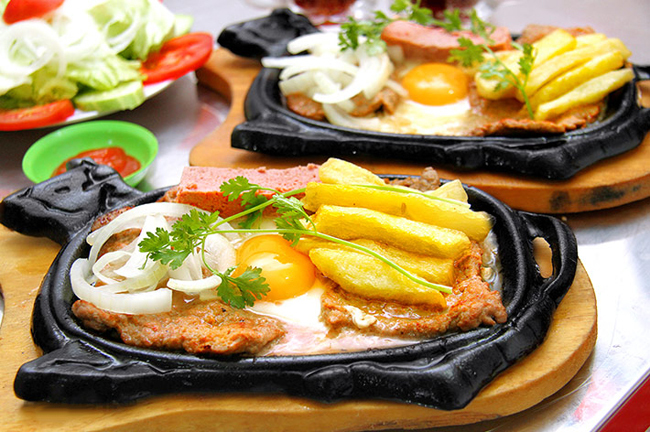 A portion of Bo Ne basically contains slides of tasty beef, a sunny side up, sausage and liver paste. People usually add soy sauce to make it waterier to dip with breads. The dish is also served with such vegetable as tomatoes and cucumbers. Bun Bo Huynh Chau is now at no.166B, Phan Dinh Phung Street, opening from 7am-9pm with the price ranging from US$2-1.5 per portion. 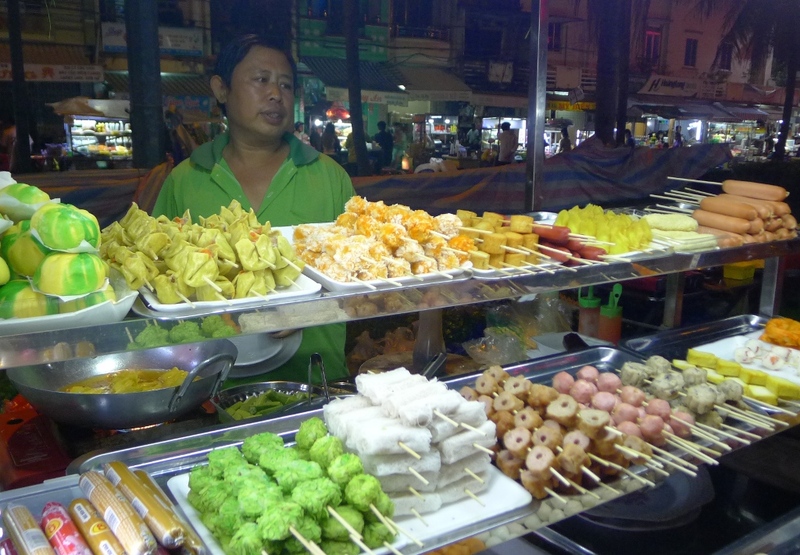 Night market near Ninh Kieu Pier is the best place in Can Tho to shop for street food. There are long streets full of food stalls and vendors, creating an electric atmosphere. There are so many tasty dishes selled in the night market, including the mixed rice papper, fried rice cake with egg, various kinds of sticky rice, sweet gruel and esecially the barbecue. 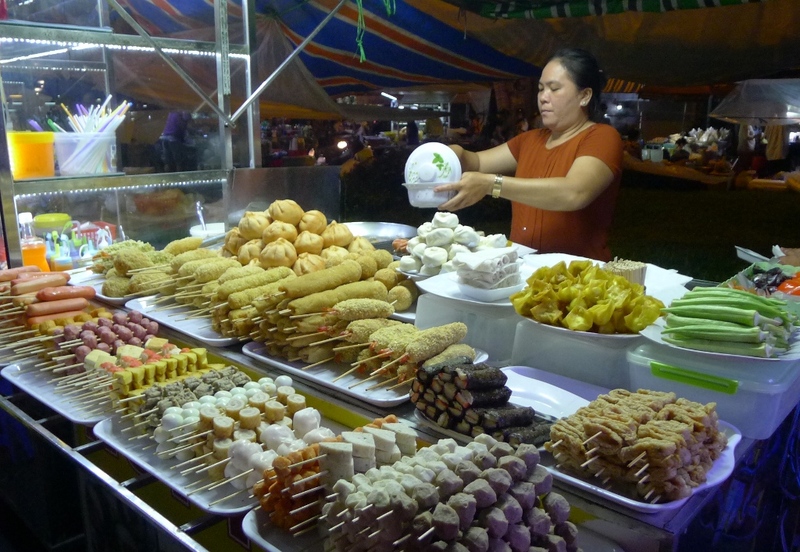 Eating at the night market will not cost you a lot and you can try different dishes in its portion. The average price of these dishes is about US$1 and cheaper for the drinks. Night market is also the place young people usually go to enjoy their favorite street food, watch people walking around and chatting with each other. Thus, if you want to see the local life at night, visit this night market on CMT8 street, Ninh Kieu district. So that is all about where to shop for food in Can Tho. It will not take much of your time for each so you can check them out when you are there.